Many families choose to stay at friendly, affordable holiday or caravan parks when on holiday. These environments often contain a mixture of roadways and recreational areas. 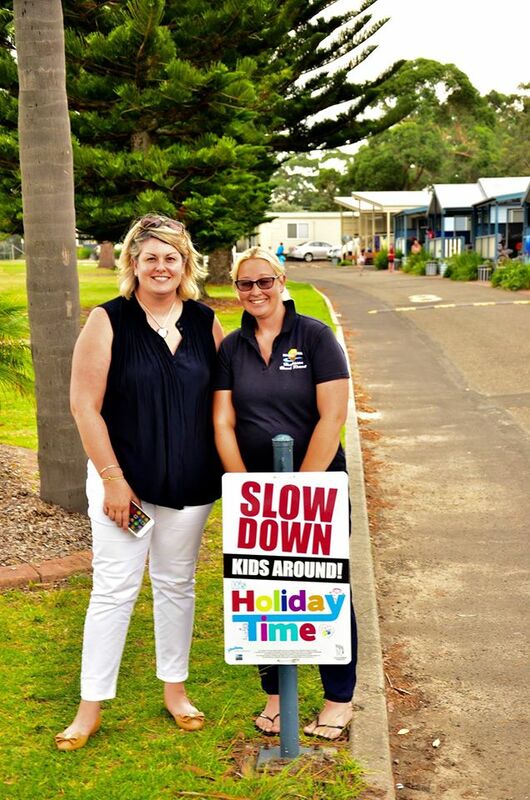 To remind residents and travellers that they are sharing the area with children, Little Blue Dinosaur has installed 'Slow Down, Kids Around' signage throughout holiday park roadway networks. Similarly, 'Hold my Hand' signage has been installed in park locations, especially gated recreational areas, to remind parents and carers of the importance of holding children's hands when they are on or near a road. The signs act as a timely reminder to exercise special care and vigilance when around roads with children on holiday. If you're interested in creating a safer holiday park for your tenants or children, please contact our office today.